In March 2013 I read of some interesting plans for the old icehouse at 9th and Edwards by Joseph J. Chernis and his son Joey. The grandson of an immigrant Lithuanian coal-miner who died at age 45 from black lung, Joseph (Joe) is a retired 35-year field service engineer for 3M Company. He is also a Vietnam vet and former Springfield Township Highway Commissioner (1997-2005). 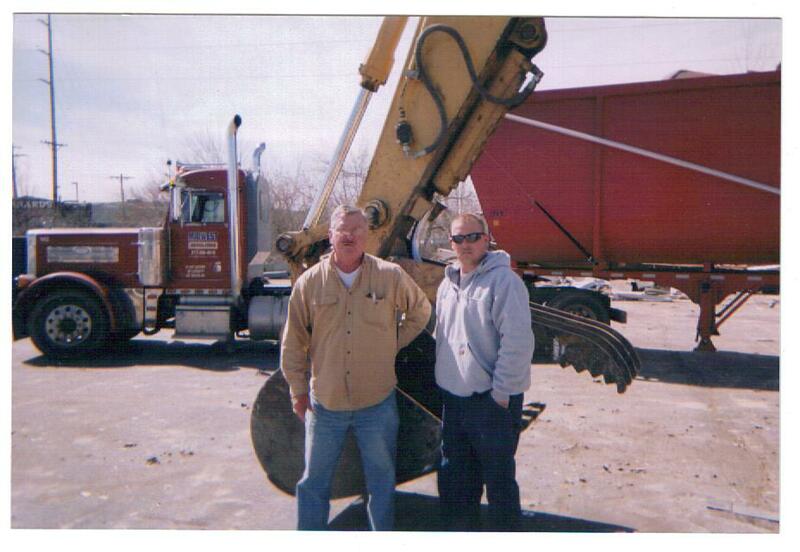 In 2009, he formed Midwest Demolition with his then-27-year-old son Joey, who could operate a backhoe at age 9 and loves managing the company. In less than four years, Midwest has grown to a total of 10 employees, and has performed basically every kind of job requiring heavy equipment, including demolishing multi-story buildings, excavating ponds, pre-construction prep and trucking scrap. For example, Midwest is currently at work on the new Aldi site on Dirksen Parkway. Other customers in Illinois and beyond have included Norfolk Southern Rail, Mervis Industries, and the City of Springfield. However, there’s something special about Midwest’s icehouse project. This time, it’s not just about demolition. And Joe Chernis, himself, owns the property: four buildings on 1.2 acres that he bought at bank auction in 2009 as the only bidder. A March 12, 2013 State Journal-Register article described how Joe wants to redevelop the icehouse site, which is just east of the Lincoln Home area, in concert with the 10th St. rail transportation center to be developed nearby. One idea is for a historic Route 66 visitor center and museum. Springfield Convention & Visitors Bureau officials agree that it’s a very attractive and strategic location, once private or public funds become available.